This funny envelope is found in Home Decorating With Origami, Japan Publications (ISBN 4889960597), page 34. The model in the book is square when closed, I added a few folds to make it a cuter geometric form. Plenty of other variations are possible! It is folded from one sheet of A4 printer paper. Opening the envelope is really satisfying, it resists then suddently bursts open in your hands! 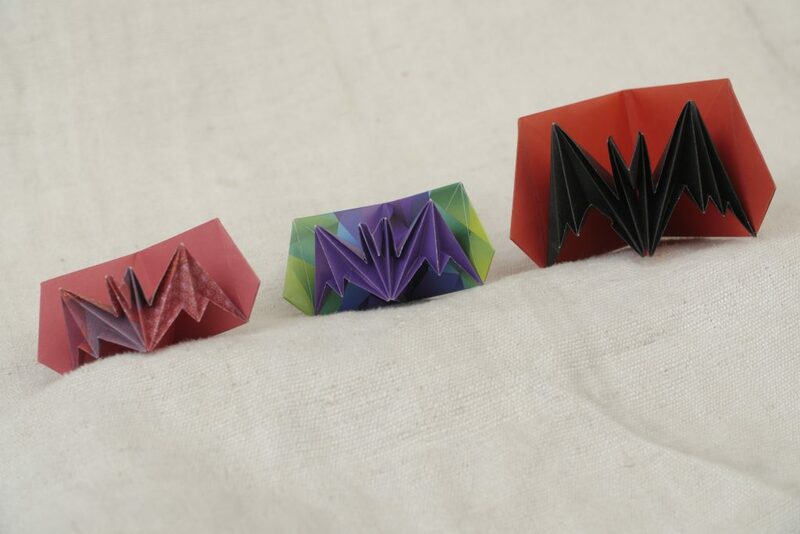 These adorable bats are very, very popular among all the people I give my origami to. 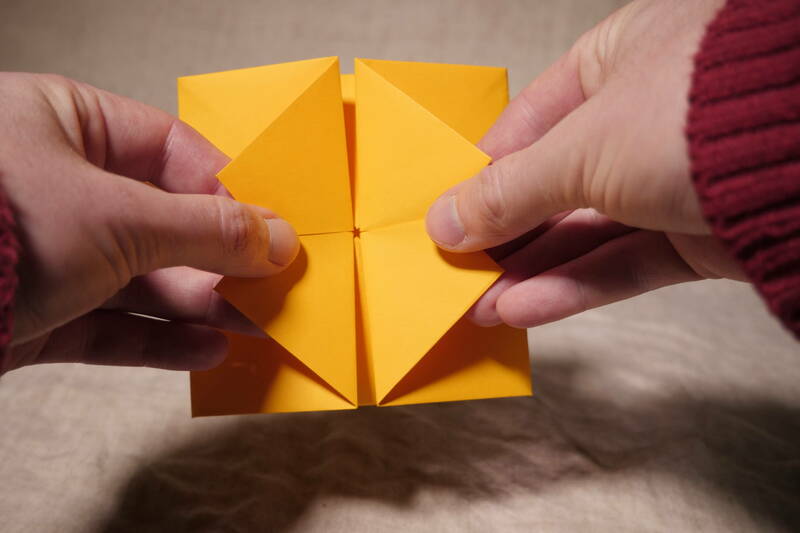 I fold them regularly, because I know people will always be happy to have one – I think it’s partly because of the magic of pop-ups, but they’re also particularly beautiful. The bat on the right is folded with 24cm double-sided paper. The bat in the middle is from Tuttle Rainbow patterns 15cm. I don’t remember the leftmost paper. 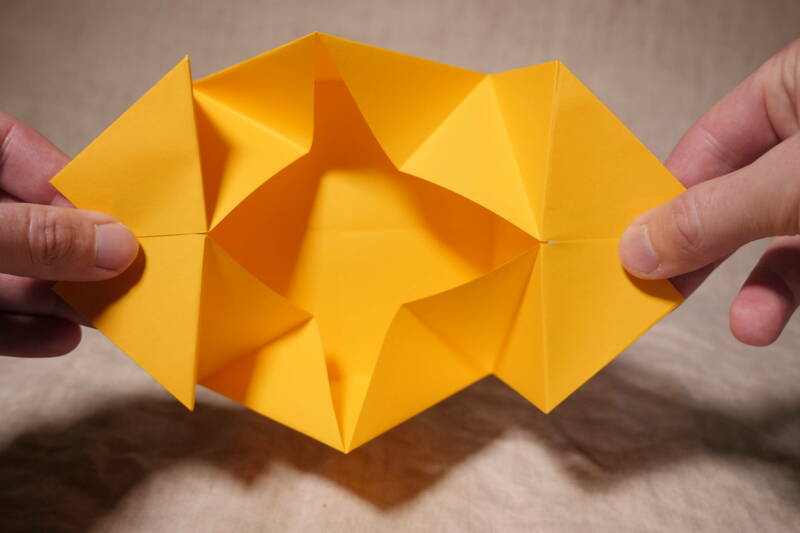 You can find the (beautifully hand-drawned) diagram in “Origami Pop-Ups to Amuse and Amaze” (ISBN 978-1494299026). He also made a youtube video.